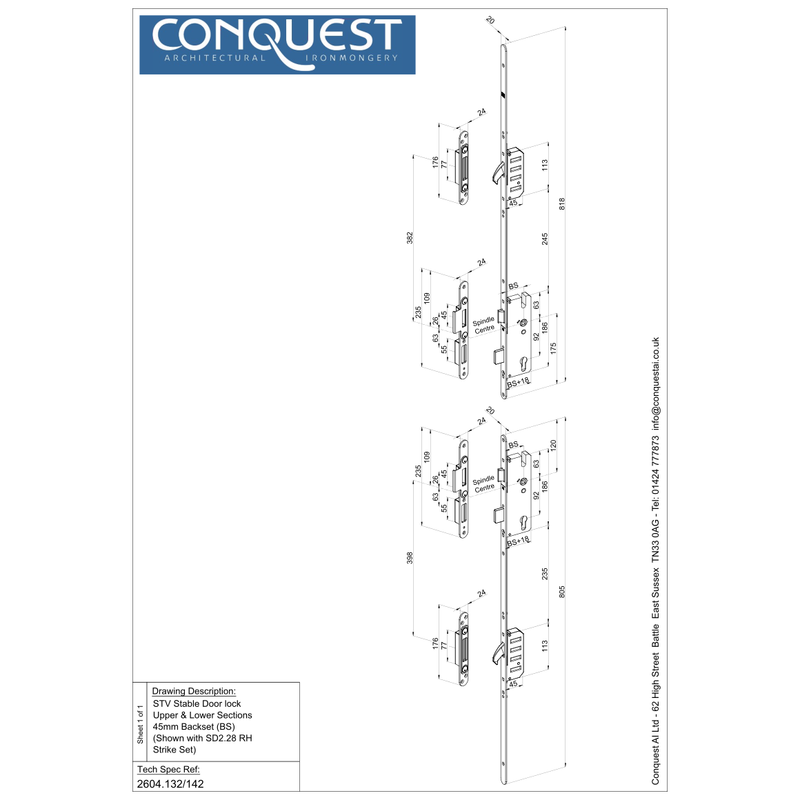 The Winkhaus Stable Door Lock is a purpose made locking system with two separate locks that has been developed using the proven features and characteristics of the Cobra Hookbolt system. 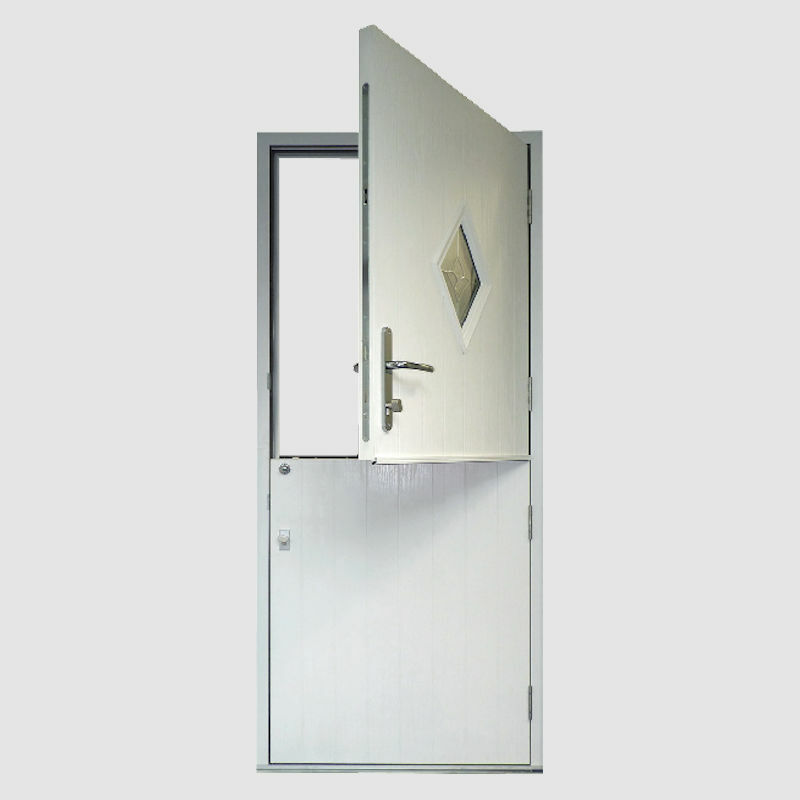 The lock allows convential use of the door when all hooks are retracted and the upper and lower door sections are bolted together. Releasing the bolt allows the upper section to be opened independently. 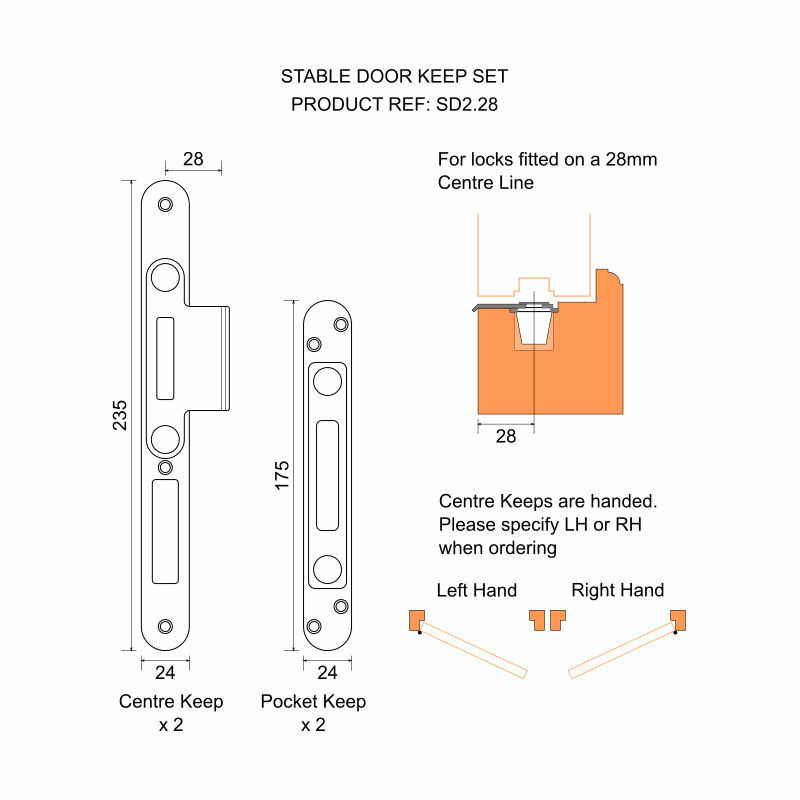 Finished in corrosion resistant Silver and offered here with a choice of adjustable keep sets for different door thicknesses/lock centre line positions and door handings. 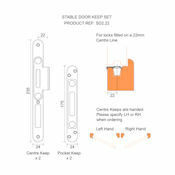 The top and bottom lock part only (without keep set) and/or alternative keeps can be purchased via the relevant product link in the "Related Items" section below. The deadbolt and top hookbolt are thrown internally or externally by lifting the door lever handle. The bolts are then locked by operation of the lock cylinder barrel. Unlocking of the door is by reverse action. 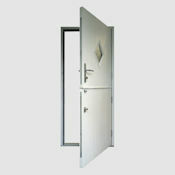 The deadbolt and bottom hookbolt are thrown and retracted by operation of the lock cylinder barrel. With both bolts retracted the door is held in the frame with the roller catch. This allows the lower door section to be opened/closed with a simple push pull action. 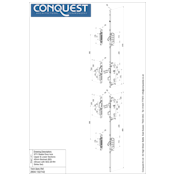 Cobra locks have been tested in all frame materials to PAS23/24 Enhanced Security standards and are approved by the Police 'Secured by Design’ Security initiative and by the Master Locksmith Association’s Sold Secure Scheme. High security solid forged brass and nickel plated anti ‘push-back’ Cobra hooks locate behind the steel keeps for optimum security and help prevent forcing apart of the door and frame. Tested to 100,000 cycles the sprung gearbox offers the lowest possible operating forces and helps prevent handle droop. Nickel plated sprung latchbolt and 20mm throw nickel steel deadbolt provide maximum strength in the centre of the door. 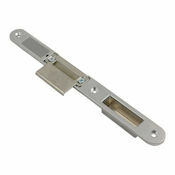 This lock is site reversible to suit left hand or right hand applications. However, keep sets are handed Left Hand or Right Hand and care must be taken to specify the correct hand when ordering. 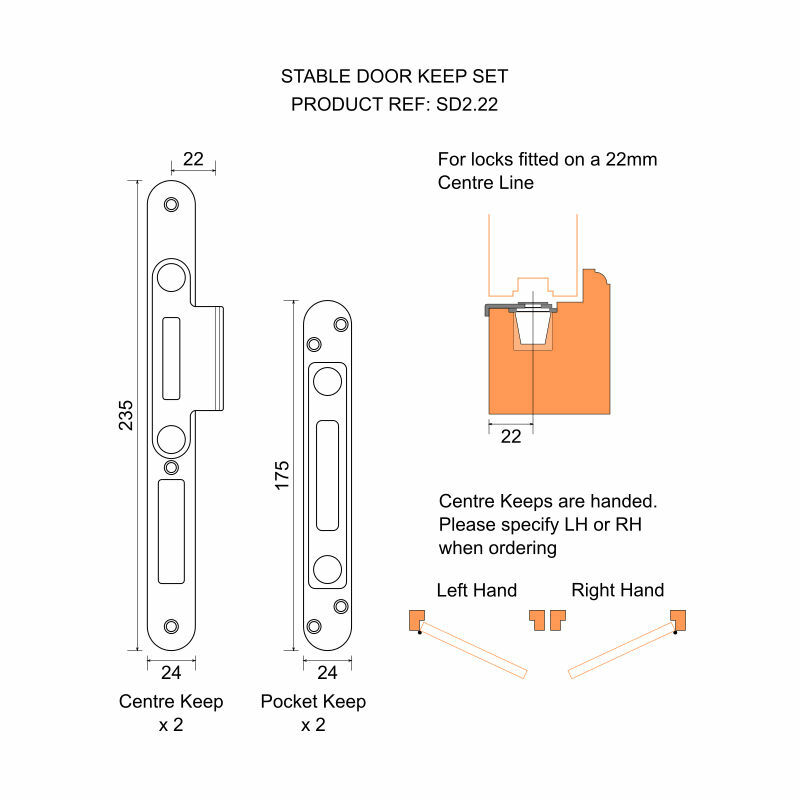 For optimum security this lock should be fitted with a TS 007 3 Star cylinder (see our ULTION Maximum Security range) or a TS 007 1 Star cylinder with 2 Star cylinder guard (see our Adapta Prime High Security range). 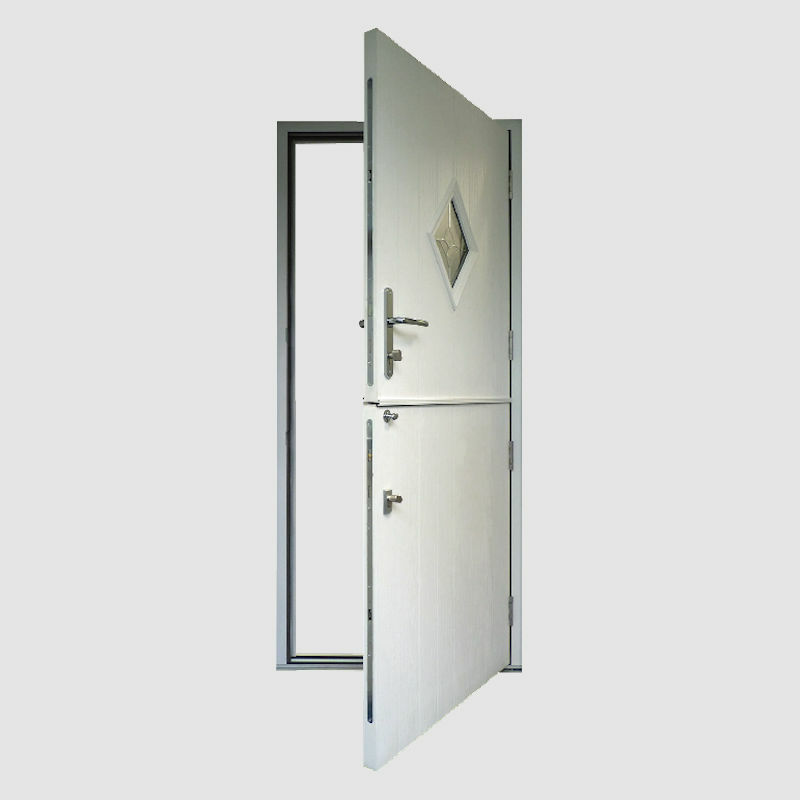 Depending on the requirement, lock cylinders can be key and turn type (external key/internal thumbturn), double cylinder (key both sides) or single cylinder (key one side only). Lever handle furniture for the upper door section MUST be of a type that allows the handle to be lifted. 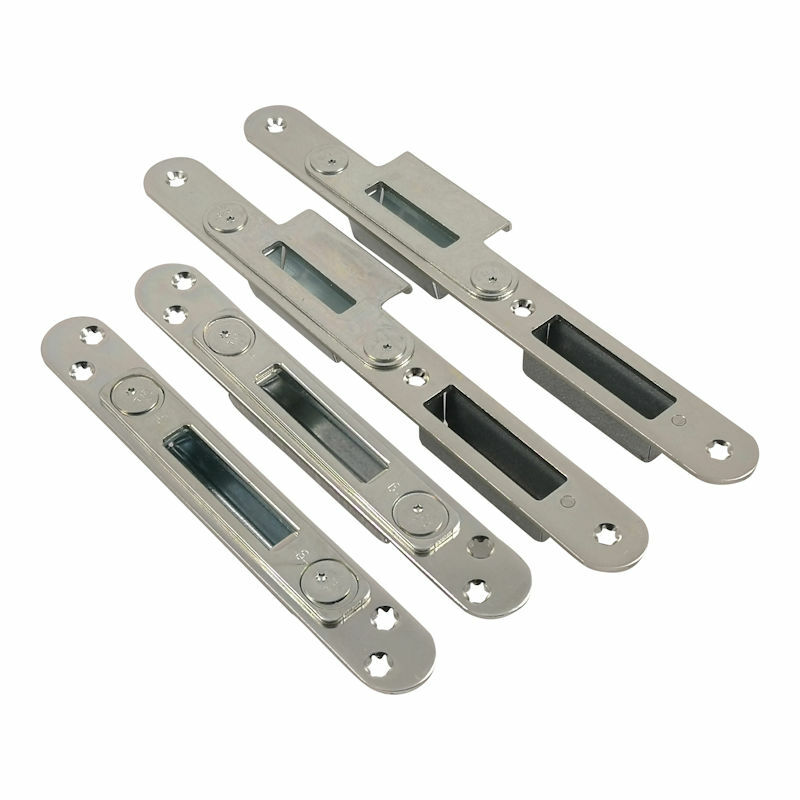 Handle backplates should be compatible with the lock centres measurement and fixing centres measurements. Please refer to the relevant technical drawings. For correct operation, a bolt must be fitted to join the upper and lower leaves when being used as a conventional door. 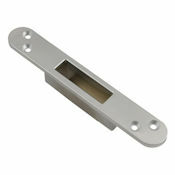 Depending on the joinery detail, this can be either a traditional straight surface mounted bolt or a mortice rack bolt. Please refer to the relevant store sections. One set Multipoint Stable Door Lock upper and lower sections complete with four part adjustable keep set. 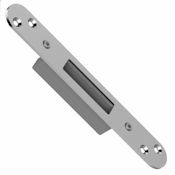 This multipoint lock set is stocked in component parts in quantities normally sufficient to fulfill most orders for immediate despatch. Where we are temporarily out of stock you should allow approximately 10 - 14 working days for despatch. Please contact us if you would like to know the stock situation prior to placing your order.